Containing botulinum toxin type A as its active ingredient, Botox is one of the most popular aesthetic injectables among patients. Today, Botox treatment is available in more than 78 countries worldwide, including the United Kingdom, Canada, and other countries in South America, Asia, and Europe. The mechanism by which Botox acts is fairly simple: It blocks the signals of the motor nerve cells, thereby paralyzing the muscle. More specifically, Botox binds to the motor nerve terminals to inhibit the release of acetylcholine (ACh), a neurotransmitter that modulates muscle contraction, which results in a partial chemical denervation that reduces muscle activity. Botox is used to treat a wide range of medical conditions. Such conditions include spasticity, overactive bladder, cervical dystonia, urinary incontinence, blepharospasm, and migraines. Botox also has a long history of use in aesthetic medicine, where its application is thoroughly wide-ranging in use. In this respect, Botox is indicated for the treatment of adults with moderate to severe forehead lines related to frontalis muscle activity, glabellar lines related to procerus or corrugator muscle activity, and/or moderate to severe lateral canthal lines, which is a condition more commonly known as crow's feet. Using fine needles, Botox is administered directed into the area of the face afflicted with crow’s feet. A topical anesthetic can be used to numb the area prior to the procedure, with the treatment able to commence once the skin near the eyes is numb. 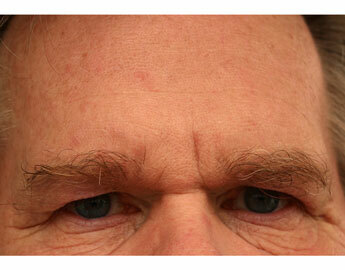 Due to the small facial area that crow’s feet cover, the treatment will only take a few minutes to complete. In comparison to other aesthetic procedures, most patients do not experience any downtime after the procedure. While it is okay to wash the face and wear makeup right after treatment, patients are advised not to rub the skin in the eye area, as this can cause Botox to move away from the treatment site. Treating crow’s feet with Botox is ideal for patients who suffer from a moderate to severe form of the affliction. Designed for patients who prefer a non-invasive anti-aging intervention, Botox injections are associated with minimal pain and discomfort. Botox injections only take a few minutes to complete, making it ideal for patients with a busy lifestyle. In fact, many patients choose to have Botox injections during their lunch break. With a low risk of complications and virtually no downtime required, most patients are able to return to work right after a Botox procedure. Despite being safe, however, there are some circumstances where the use of Botox is not advised. For example, only adult patients 18 years old and up should use Botox to treat crow’s feet, as the safety of Botox has not been scientifically verified for people younger than 18. Likewise, patients who are pregnant or breastfeeding should refrain from using Botox (unless the potential benefits outweigh the harms) because there has been a lack of research on the potential side effects. Also, Botox is contraindicated for individuals who have an allergy to botulinum toxin; other botulinum toxin formulations, such as Xeomin and Dysport; or any other inactive ingredients in the formulation. Patients whose treatment site is infected should also avoid using Botox. Most patients only need a small dose of Botox for efficacious treatment. For wrinkles near the eyes, the recommended dose of Botox is 10 units, with five units for each side of the eye. Allergan, the manufacturer of Botox, recommends a dose of 24 units for treatment of crow’s feet. When used in combination with treatment for glabellar lines, the total recommended dose is 44 units, with 20 units dedicated to the treatment for glabellar lines and 24 units dedicated to the treatment of lateral canthal lines. The cumulative dose of Botox in a period of three months should not exceed 400 units under any circumstances. Inappropriate dosing of Botox may cause harm to the patients. Appropriate injection technique is crucial to achieve satisfactory treatment. Lateral canthal lines are usually caused by the activities of the orbicularis oculi muscles near the eye, which are responsible for eyelid closure and blinking. Over time, the forceful contraction of the orbicularis oculi will lead to the formation of radially oriented folds. The radial lines (or crow’s feet) usually originate from the lateral canthus and have different distribution patterns among individuals. When administering Botox, the needle bevel should be up and positioned away from the eyes. Inject four units of 0.1ml of reconstituted Botox into six injection sites in the lateral orbicularis oculi muscle, with three sites on each side of the muscle. The first Botox injection should be temporal to the lateral canthus (and just temporal to the orbital rim. Refer to the prescribing information for more details. When injecting Botox for crow’s feet, keep in mind that Botox is not interchangeable with other botulinum toxin-based formulations, such as Xeomin and Dysport. Being specific to its preparation method, the units of biological activities of Botox cannot be converted into units of other botulinum toxin injection, which are produced through a different assay method. The effective and safe use of Botox depends mainly upon the administration technique. To ensure patient safety, practitioners should have a good understanding of structural and neuromuscular anatomy of the treatment area. In addition, practitioners should be aware of any anatomical alteration caused by diseases or previous surgeries. While its effects are not permanent, Botox is designed to deliver long lasting results. In fact, a 2016 study that involving more than 1,300 participants showed that Botox can last up to four months. For longer lasting results, consider combining Botox with other treatments such as laser treatments. It takes around three days for Botox to produce visible results around the eye. For optimal results, patients should continue to receive Botox injections every few months. While generally well-tolerated by most patients, Botox can potentially cause undesirable reactions. 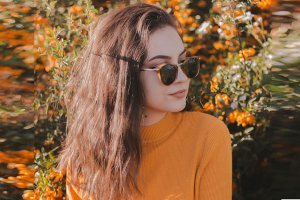 Some of the common side effects of Botox are droopy eyelids, dryness (particularly near the injection site), excessive tearing in the eyes, headaches, and crooked eyebrows. In addition, some patients may experience swelling and redness near the eyes, and skin bruising may occasionally occur. To minimize side effects, only use Botox within the recommended dosage, as using more than the recommended amount may result in undesirable effects. Avoid using Botox in contraindicated individuals, especially those who have hypersensitivity to botulinum toxin or any other botulinum toxin preparations. Being efficacious and safe, Botox has an edge over conventional crow’s feet treatments like prescription retinoids, dermabrasion, and chemical peels. Many patients and dermatologists have attested to the age-defying effects of Botox. Fight crow’s feet with Botox and help your patients look young again.